It’s not always easy being the most popular. 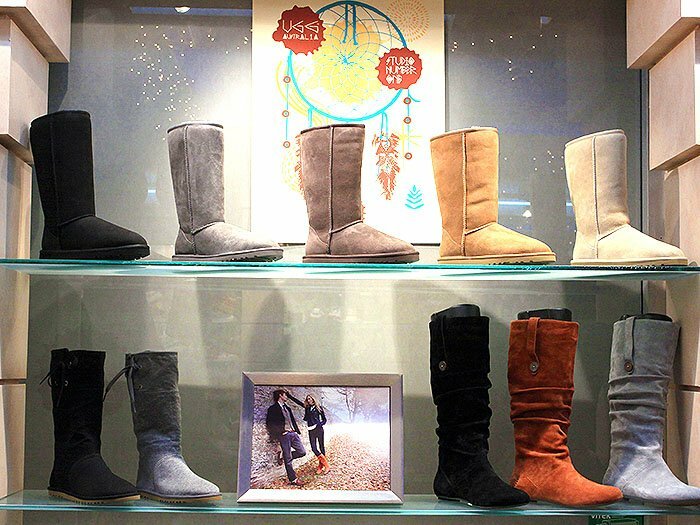 While ugg boots were the most searched fashion item on Black Friday, the sudden surge in Internet traffic also revived an old controversy. The rumor has always plagued the company formerly known as UGG Australia (now just ‘UGG’): that they allegedly skin animals alive and kill sheep just to make ugg boots. Someone has even gone as far as drawing up an online petition, complete with an attached video of Pink’s old PETA campaign against the Australian wool industry’s sheep mulesing and live export practices. As always with PETA, the video is filled with shocking images we deem too gruesome to share here on our blog, so just visit PETA if you’re up for watching it. Just as Pink discovered (she later backtracked and said that she could’ve done a lot more research on her own prior to posting the PETA video), there are always two sides to every coin. UGG Australia, ready with their responses to this age-old controversy, said that they are, on record, against the practice of mulesing (surgical removal of strips of wool-bearing skin from around the buttocks of a sheep). They require their suppliers to comply with a strict set of ethical guidelines, they don’t kill sheep just for the skin alone, and they most certainly don’t skin sheep alive. The company also debunks plenty of other misconceptions in their response to the current outbreak of this issue. Sheep farmers raise sheep for either for wool or for food. The sheepskin used to make UGG boots comes from farmers that raise sheep primarily for food. For the farmer, approximately 10% of the value of a sheep is derived from selling the sheepskin. In other words, the farmer derives most of his or her income from food production. No matter which side you are on, there’s really no getting around it: ugg boots are made of animal skin, as all real leather products are. 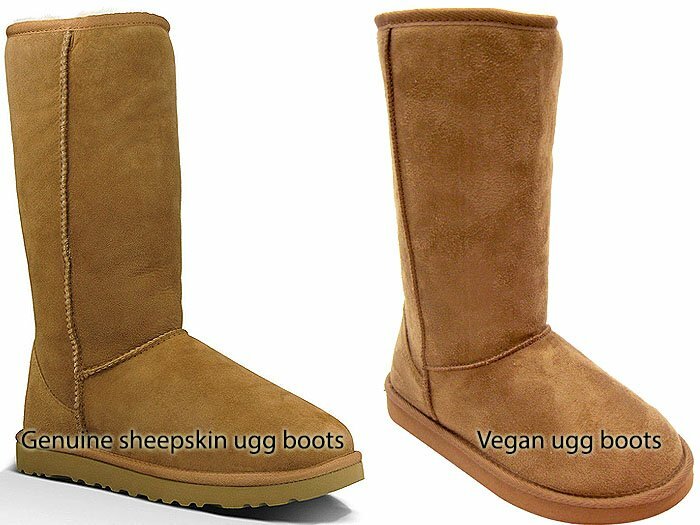 It’s really up to you to decide whether to buy genuine sheepskin ugg boots from a company that has humane manufacturing practices or to go 100% vegan. Just please don’t ever buy fake ugg boots. Counterfeiting goes beyond making money off of a popular brand — it also almost always deals with dangerous working conditions, unregulated and possibly hazardous manufacturing materials, child labor, and other issues on top of animal welfare. For more information on how UGG boots are made, don’t miss the following video showing how the company is committed to only sourcing sheepskin from farms that practice humane animal treatment and don’t commit acts of animal cruelty such as mulesing.